SpotX is a video advertising and monetization platform with 20 offices across the United States, Europe, Latin America, and Asia-Pacific. Their technology powers modern ad serving, programmatic enablement, and other advanced video monetization tools for a variety of different media owners, such as PBS, Spotify, E.W. Scripps, Zynga, and Conde Nast. In October 2017, RTL Group, a leader across broadcast, content and digital, completed its 100% acquisition of SpotX which is currently combining its business with smartclip, a sister company. 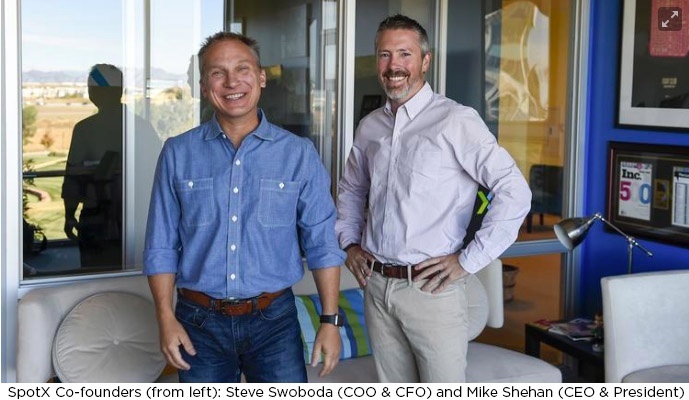 SpotX was founded in 2007 by Mike Shehan and Steve Swoboda, CEO and CFO respectively, and has nearly 600 employees. Publishers use SpotX to connect all of their demand sources—ad networks, DSPs (demand-side platforms), trading desks, and exchanges—creating a single place where media owners have complete control and actionable insights to maximize revenue. Mike Shehan is excited about the attention they’ve received. Shehan continues on about how the Stevies specifically impacted their Chief Revenue Officer. SpotX is deeply involved in the ongoing industry discussion around the rise of OTT video and the rapid adoption of programmatic advertising across desktop, mobile, and connected TV devices. “We've gained an early foothold in the burgeoning Asia-Pacific region, where mobile adoption over the last few years has spurred enormous growth in video advertising,” says Shehan. As a leader in the over-the-top (OTT) video space, SpotX continues to drive home the importance of understanding how media buyers and sellers think about OTT advertising. In February 2018, the company announced detailed insights about the current state of video advertising on OTT in a report called “TV is Total Video: Predicting OTT and the Future of Video Advertising.” SpotX also announced a strategic integration with JW Player to launch Video Player Bidding, a new way to help reduce video latency and improve monetization for publishers with just one click. SpotX is also a strong proponent of the server-to-server bidding model for ad inventory, aiming to educate the industry on the many benefits and efficiencies that it provides for media owners. Shehan comments on an organizational change they made that helped solidify their success today.